Ross Athletic Supply was established in 1997 by Ross Morreale. Having a background in the gymnastics industry, Ross made a decision to introduce the spring floor to the cheerleading industry. The spring floor was an innovation the cheer industry needed. Therefore, by embracing the spring floor and using it at their competitions, event organizers recognized a great reduction in injuries. Twenty years later, Ross Athletic Supply, Inc. is the leading supplier for cheerleading, tumbling and gymnastics events in the country. Last year, Ross Athletic Supply, Inc. provided equipment for a number of events, including: USASF Worlds, UCA / NCA National Championships, COA’s Ultimate, The WOGA Classic, and The Houston Invitational. 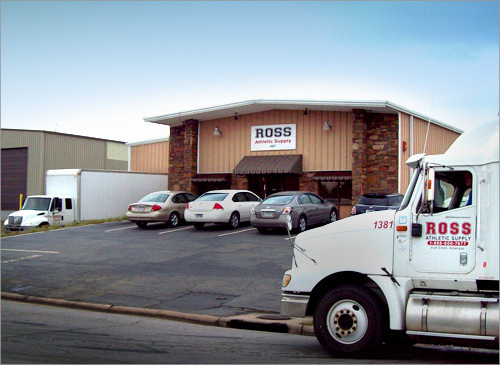 Ross surrounds himself with a staff that prides itself on the quality of customer service given to every customer. Ross and his staff are continuously striving to improve service and product, while maintaining the highest safety guidelines.